Because we keep our group sizes small (on average, a maximum of 12 per session/ 8 for mums and bubs), you’ll get the individual attention you want and need. Keeping class sizes small means we can scale the intensity of the sessions to suit your ability and fitness level and cater to each individual’s needs. Unlike some one-size-fits-all bootcamps, we put a big emphasis on technique to ensure you get the most out of every session and to help you avoid injury. Fully qualified, experienced and insured fitness trainer registered with Fitness Australia. I started Goddess Outdoor Fitness to cater for busy women (aren’t we all?) who want convenience and flexibility in their workouts. As a mum of two young girls, I know what it’s like trying to squeeze everything (and everyone else’s needs) into an already busy week. That’s why I’ve tailored my bootcamps to be flexible, fun and varied. I’m passionate about fitness and I want all my clients to enjoy it as much as I do! In 2016 I was chosen as one of 10 finalists from around Australia in the Women’s Health Next Fitness Star competition, which was a huge honour. I’m a fully qualified and insured trainer, with a Certificate III and IV in personal training, and I’m registered with Fitness Australia. 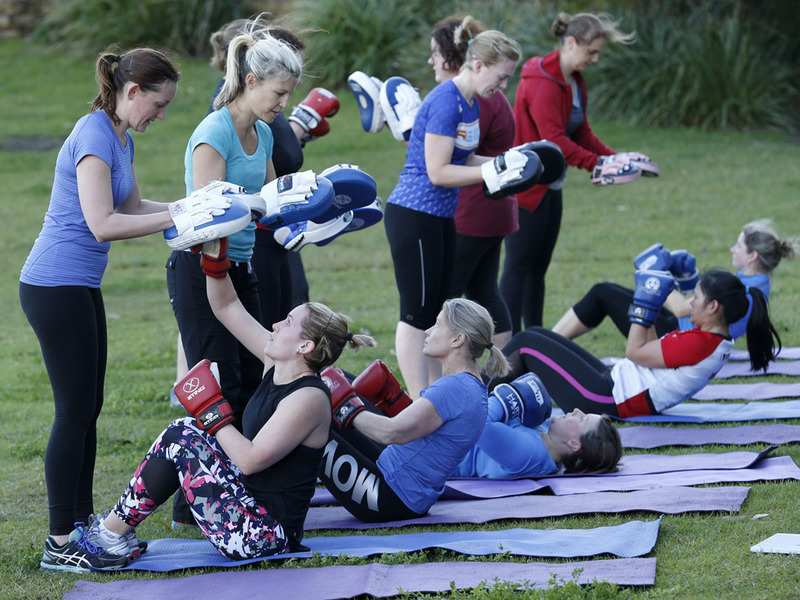 I’m also an accredited bootcamp and boxing instructor with extensive experience and training in pre- and post-natal exercise. On a personal level, I love playing touch football, snowboarding, weight training, cooking healthy treats and hanging out with my family. I also have a blackbelt in Tae Kwon Do (probably why I love boxing so much!) and hope to one day represent Australia in touch football.